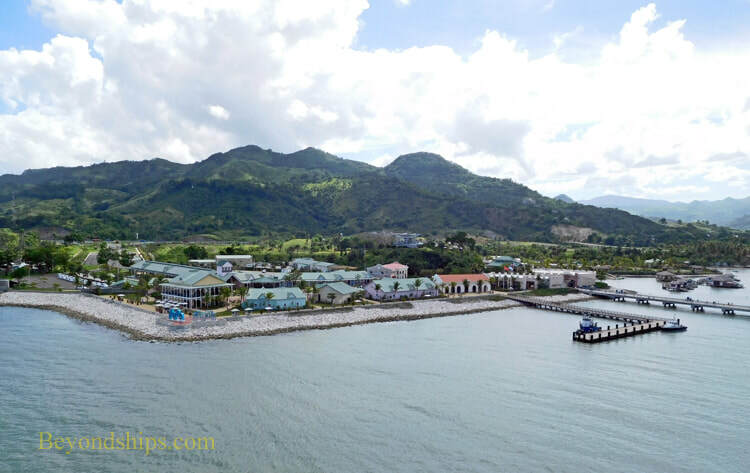 Amber Cove is a cruise village on the northern coast of the Dominican Republic. 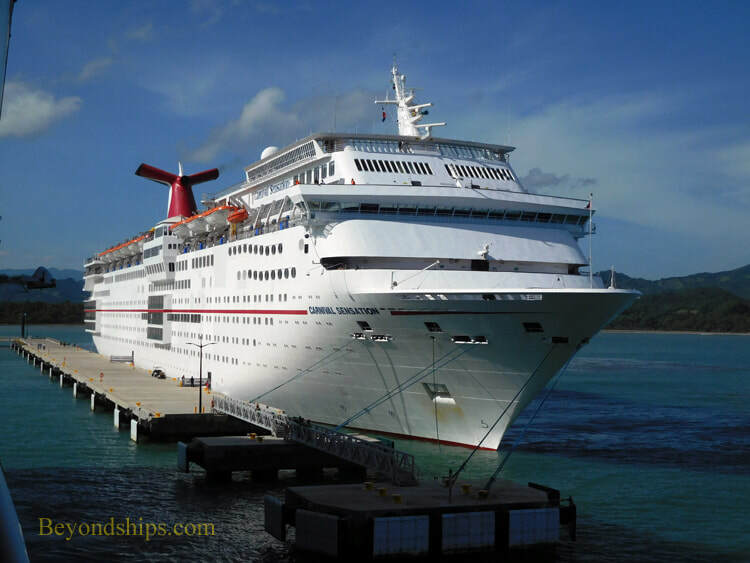 It was built by Carnival Corporation for some $85 million and opened in October 2015. 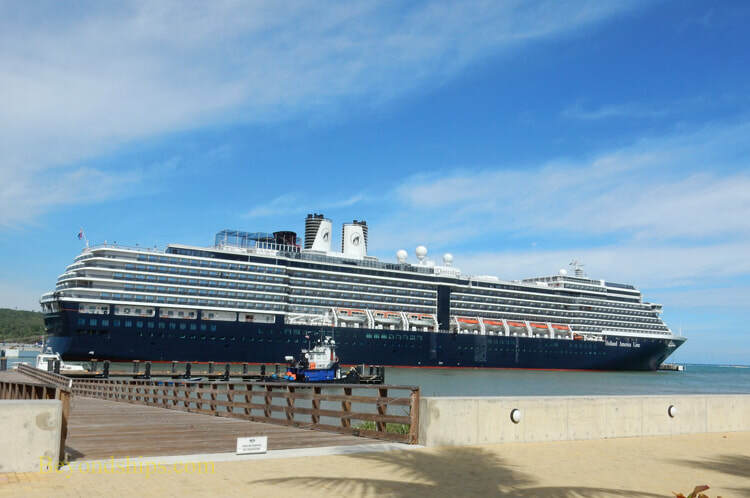 This port is used by ships from the various Carnival Corporation lines including Carnival Cruise Lines, Holland America Line and Princess Cruises. 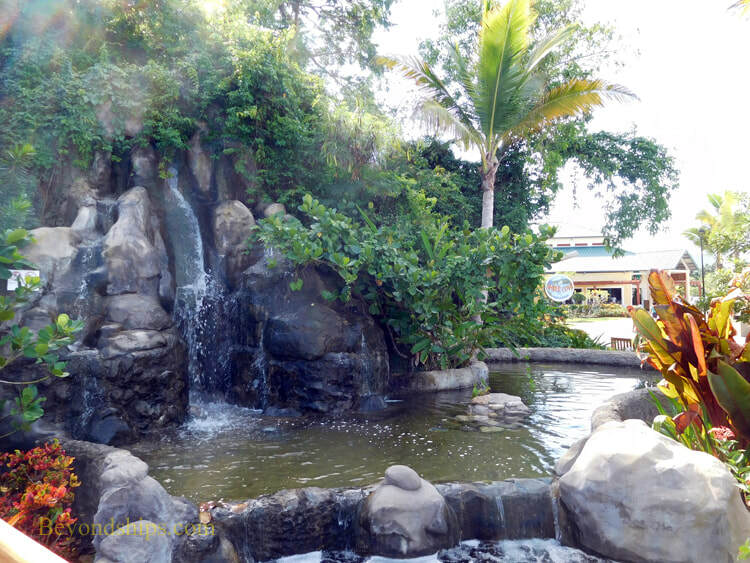 The complex covers some 25 acres and can be divided into a shopping plaza, a pools and sports area and the area around a small hill that rises 65 feet up from the center of the complex. 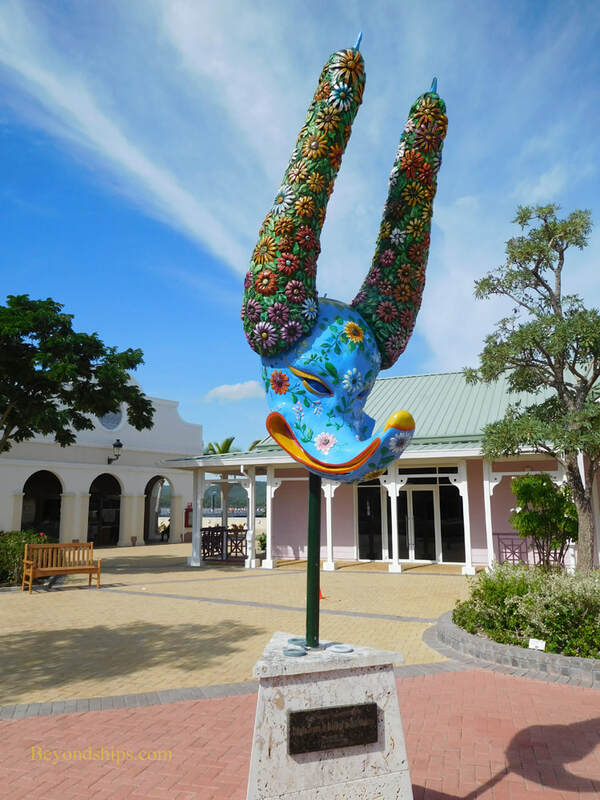 It is clean and nicely landscaped and laid-out with buildings that recall colonial era architecture. But there is no disguising the fact that it was created for tourists. Amber Cove is not walled off from the surrounding countryside. Although many guests spend their entire stay within the complex, there are numerous shore excursions into the Dominican Republic. 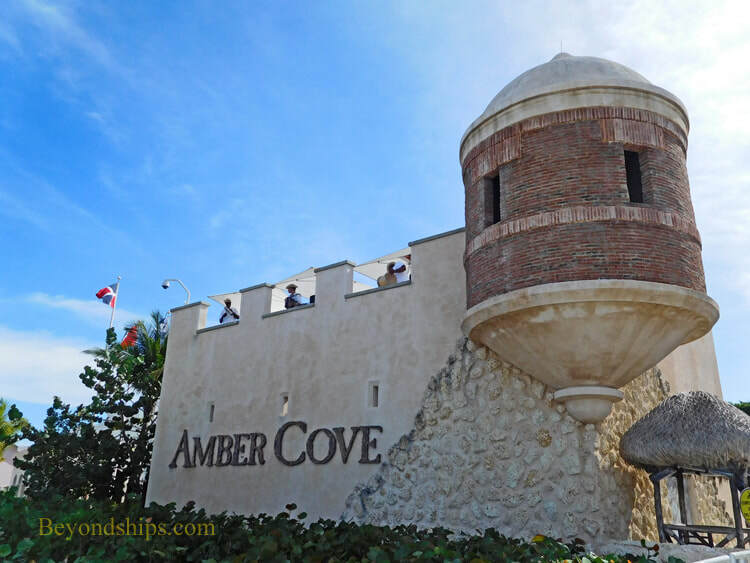 Amber Cove also facilitates independent exploration by having a Dominican Republic information center and by having a large transportation center where passengers can hire taxis. Some of the more popular places nearby include: the city of Puerto Plata with its Amber Museum, cathedral and colonial architecture; the Ocean World dolphin experience; Feurte de San Felipse, one of the oldest forts in North America; the 27 Charcos of Damajara waterfalls; and Mount Isaled de Torrres for panoramic views. There are also excursions to local cigar and rum factories. Amber Cove itself has no beach. However, there are a number of beaches in the area. Amber Cove has a single pier, 1.280 feet long, capable of handling two cruise ships simultaneously. The pier is L-shaped with the cruise ship berths a good distance out into the bay. For those passengers who do not want to walk the distance to the shore, there are bicycle powered rickshaws. The ride is free but the drivers expect a tip. Above: Carnival Sensation at Amber Cove. Left: Oosterdam docked at Amber Cove.